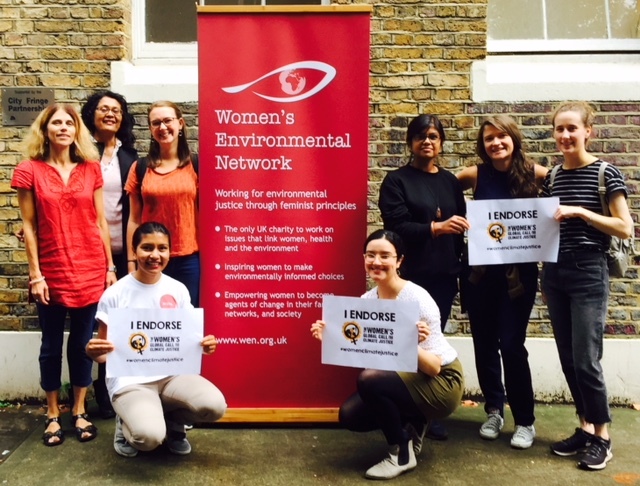 WEN received funding from Rosa: the UK fund for women and girls, to develop a feminist leadership programme for emerging environmental change-makers in Tower Hamlets. Over the last 10 months, WEN has worked with paid interns, supporting them through a tailored programme of training, one-to-one support, practical hands-on work experience and workshops. Many of the workshops will be open to local residents, to help build the skills and confidence to speak out on the environmental issues that matter to them. The programme also aims to increase the involvement of under-represented groups - particularly Black, Asian and minority ethnic (BAME) women- in environmental forums. Shaheda (far left) and WEN team at What Women Want 2.0 Launch in Parliament. By offering the internship through Rosa, the UK fund for Women and Girls, WEN have definitely hatched a few WEN chicks! The success of the internship has paid off in more ways than one. I recently held an event for International Women’s Week at Spitalfields city farm where I work. This was WEN leadership programme in action. The training with WEN has had a direct impact on how I can affect and create change in my community. It has given me the confidence to take on the challenge of organising an event, inspired by WEN forums and seminars. Using WEN's format/template to create such events, has given me the tools to work professionally in my own field of work. I was able to take the role of public speaker, take ownership of an audience, and feel valued as an individual for what I have to offer. Thanks to WEN, I feel I can connect and engage in discussions/debates about issues that matter to me. No doubt it has awoken my senses for more knowledge, education and intrigue of what else is out there. Over the course of the 10-week programme, I was fully integrated with the WEN team. Before long, I was getting invitations to go along to meetings, to such places like the International Institute for Environment and Development, to participate in a Gender and Development Network gathering. I attended a fiery seminar at Birkbeck University with a diverse panel, topic; re-framing Environmentalism. 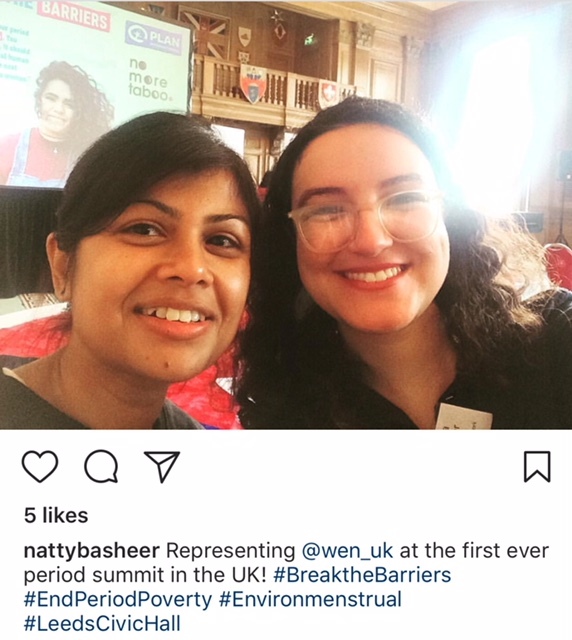 I went to the Feminism in London Conference, Student Sustainability summit in Coventry and represented WEN at Break the Barriers, Period Poverty Summit in Leeds. In between all this, there were extra workshops and trainings offered in the WEN office in Shoreditch. Recently, I was invited to go to What Women Want 2.0 Launch in Parliament. I liked the fact that I can go to such events, ‘dressed’ as no one but me, with an open mind, free to form my own opinions and challenge the status quo. The internship may have expired, but my friendship to the WEN team still stand, and I’m happy to be volunteering with them when I can. Working with WEN, has been a road of discovery. A personal journey as I have been inspired by so many women and their stories, which resonate for all women, in crisis, in hardship, dealing with problems so great, so severe; who are affected directly by climate change, I stand with them in solidarity and tears. 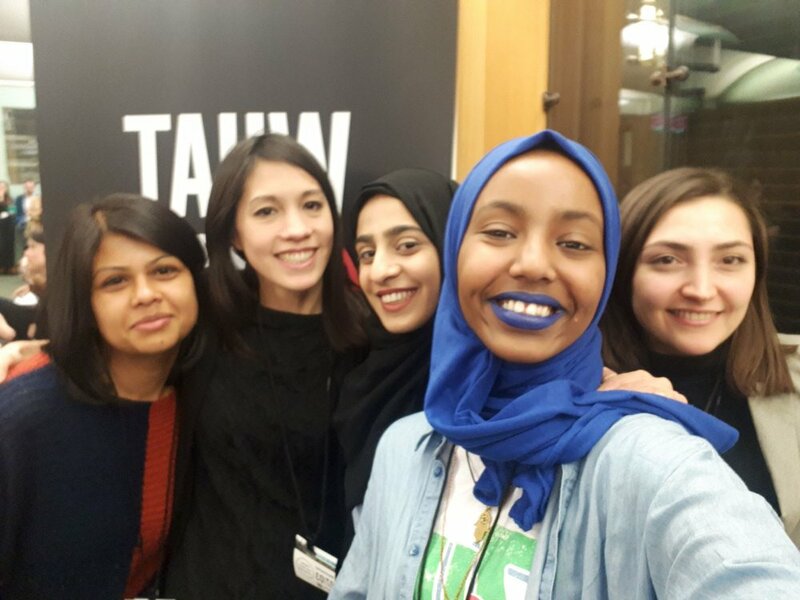 As a British Bangladeshi, it is fundamental that such Internship programmes aim to increase the involvement of under-represented groups in organisations such as WEN. 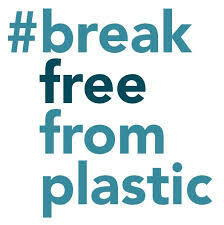 How else can we fulfil our aims to work together, to tackle an issue as big and alien as climate change? We must create the language for it in all communities, and in only doing so, can we truly achieve, what we are here to do, care for our planet and each other.